Liberty 3 in. 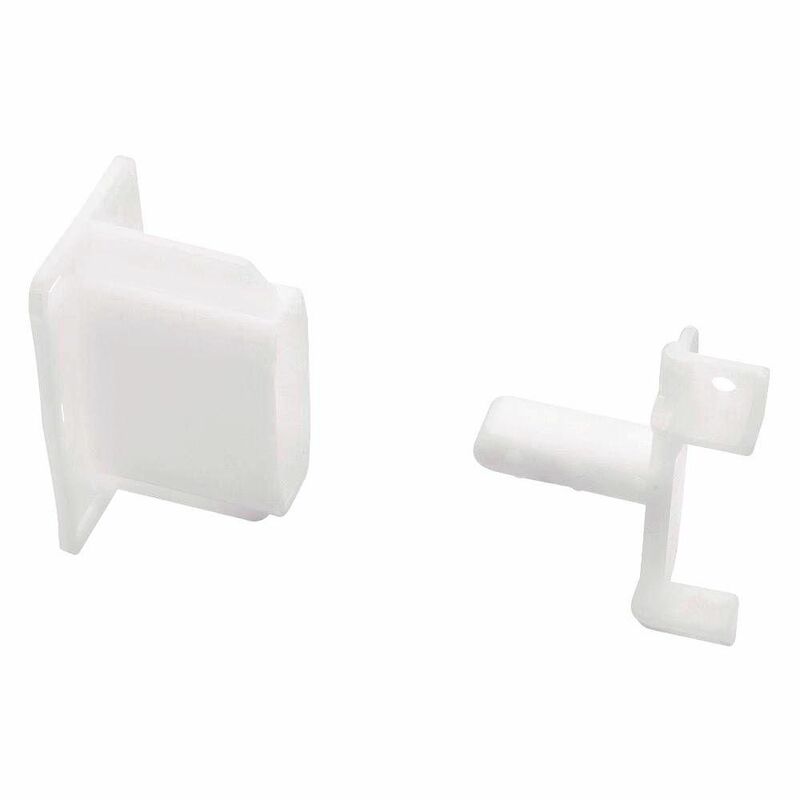 Face Frame Sockets for Drawer Slides (2-Pack) complete a drawer slide assembly set. They allow easy drawer slide installation, creating a sturdy, reliable and functional drawer. The slide system includes left and right slides, along with the mounting hardware. Ball Bearing Drawer Slide Sockets - 2pk These Liberty Face Frame Drawer Slide Kits (2-pack) offer an alternative mounting option for face frame cabinet installation. The slide kits are compatible with D806 drawer slides (not included). Fasteners are included. Ball Bearing Drawer Slide Sockets - 2pk is rated 2.1 out of 5 by 19. Rated 1 out of 5 by Grizbear from These are horrible and I cannot believe Home Depot still carries these. I wish I had read the co... These are horrible and I cannot believe Home Depot still carries these. I wish I had read the comments before purchasing and wasting a day trying to figure this out. I was sure I was doing something wrong. They are designed poorly and all the comments about the drawers not closing and the bracket interfering are spot on. Rated 5 out of 5 by Rob from This effectively replaced identical parts that had broken in my kitchen cabinets. This effectively replaced identical parts that had broken in my kitchen cabinets. Rated 1 out of 5 by Cabinetman from Junk Junk drawer won't close rear socket in the way. . . Rated 1 out of 5 by Roy from The Face frame side was good but the cabinet backs were useless and had to use alternative method... The Face frame side was good but the cabinet backs were useless and had to use alternative method to mount the slider. The length of the units was too long and the slider bottomed out. I just blocked the sliders for the application. The instructions were very poor. Designing new cabinets for them would work, but in this case I attempted to retrofit them into some cheap cabinets that made them impossible to use. Rated 2 out of 5 by Bret from Better off to attach boards as shims to the rear inside sides of cabinets and attach the sliders ... Better off to attach boards as shims to the rear inside sides of cabinets and attach the sliders to the boards on the sides. I used 1x6 boards which was perfect size for mine. Rated 1 out of 5 by RE from Spent all day trying to modify this and self closing drawer slides to work on face frame cabinet.... Spent all day trying to modify this and self closing drawer slides to work on face frame cabinet. I am a skilled cabinet maker. As others report, the design is flawed and simply does not work because the socket interferes with the drawer at the back. Very disappointing and am returning. Suggest Home Depot discontinue this brand of drawer slide immediately.